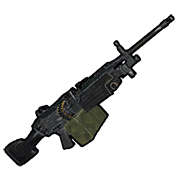 A military-grade Light Machine Gun that only spawns in helicopter crates and Bradly APC, the M249 holds the most bullets in-game out of all the guns, with a magazine capacity of 100. 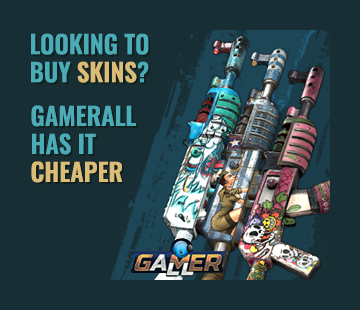 Does an extremely high amount of damage with a high rate of fire and is extremely accurate, but has a large amount of recoil. Melts Everybody. The M249 has a high recoil movement penalty, staying still will make the gun much easier to spray at longer distances. The simple sight is a good mod for the M249 with the benefits of more visibility when aiming down and the higher sensitivity the mod gives. The M249 can shoot exactly 2,000 rounds of any ammunition before breaking while in mint condition. To get a 50% chance of finding at least 1 M249, you'd need to encounter 11 Elite crates. Doubling this number will *not* guarantee you find one! The probability asymptotically approaches 1 the more chances you get. Amazing weapon, if you can actually get one. The chance from getting one from each helicopter taken down is 25% so kill the heli 4 times and you will get one are two if you are lucky. Overall good, but way too rare.